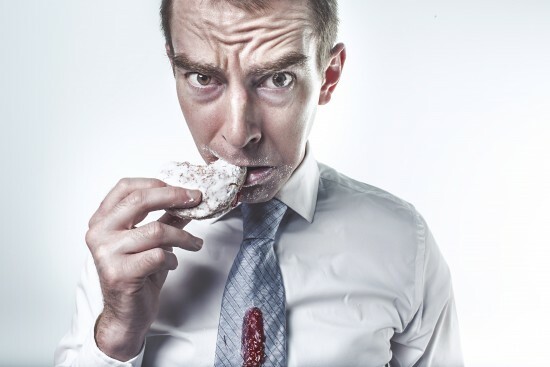 We all overeat at times, but when it becomes a pattern and it happens in connection with characteristic emotions, it’s called emotional overeating. 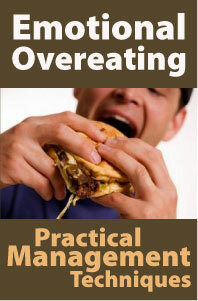 Emotional overeating is also different from simply eating more calories than you expend because it mimics an addiction. There is a trigger (usually an identifiable feeling, or set of feelings), a feeling of lack of control over one’s behavior (also seen as the inability to inhibit the impulse), and feelings of guilt and shame about the behavior. Often the emotional overeater, like an addict, knows that the behavior is causing harm to his/her life, and yet is unable to stop. 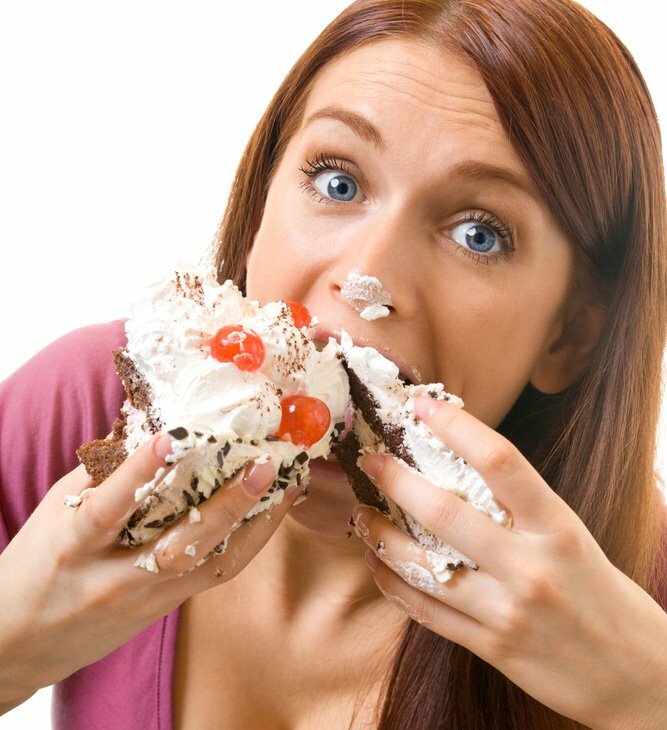 The emotional overeater’s life can also begin to narrow, much like the addict’s, as social connections are let go of, previously enjoyed hobbies and personal pursuits fall by the wayside, and the primary source of relief becomes the addictive behavior. Yet the difference is that we can’t simply stop eating the way an addict can use abstinence as a treatment goal. Similarly, emotional overeating is not a behavior that responds to simply being told to stop, because the emotions that underlie the behavior remain. In fact, being told to stop typically increases the feelings of shame that an emotional overeater already struggles with – often making the behavior even worse. This reality is evidenced by the astounding number of people who struggle with emotional overeating as well as the collective conclusion by the majority of experts in the field that the role of emotions in obesity and weight loss treatment approaches is consistently being overlooked. What is needed is a different approach. Those who treat obesity, weight loss, and emotional overeating need to look beyond the behavior to understand the emotions that drive it. They need to see emotional overeating not as a lack of willpower, an indication of a character flaw, or an inadequacy, but rather a cry for help. They need to understand the psychological and social obstacles that accompany emotional overeating as well as the patterns that drive it. 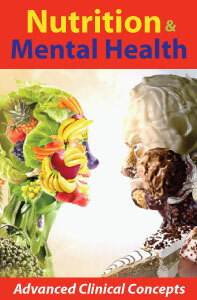 And then, they need to help their clients unravel their identity from that of a person who is not good enough, and whose behavior is shameful, and begin to build a sense of self that supports healthy eating patterns, distinguishes physical hunger from emotional hunger, and finds ways to meet unmet emotional needs in fulfilling ways. 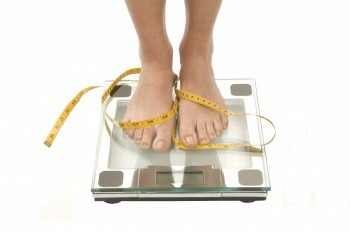 Legalize Medical Marijuana to Reduce Obesity? 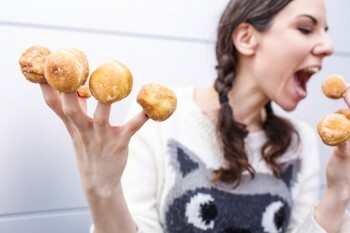 Want to take a bite out of the American obesity epidemic? Legalize medical marijuana. But the researchers wanted to know how increased medical marijuana availability could affect a variety of health outcomes at the societal level. So they analyzed over 20 years of data from the federal Behavioral Risk Factor Surveillance Survey (BRFSS), including over 5 million individual survey responses. And during the time period they studied (1990-2012), a number of states implemented medical marijuana laws, while many others didn’t. Voila: natural experiment. They found that passage of medical marijuana laws was associated with declines in obesity and overall BMI, controlling for social and economic factors, policy differences and food prices. 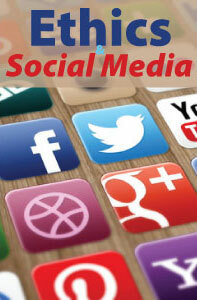 As for the “why,” the researchers found that a number of factors may be at play. For older adults, they found that medical marijuana laws “are associated with an increase in physical wellness and frequent exercise.” The possible reason? People are often prescribed medical marijuana for chronic pain, one of the conditions it’s most affective at treating. Older patients are more likely to experience chronic pain. So if medical marijuana reduces pain, it may be allowing those patients to be more active — and hence, burn more calories. This so-called substitution effect is often cited in arguments for legalizing marijuana: If you legalize weed, some people will opt for pot over alcohol. Alcohol consumption will fall as a result. And since researchers agree that marijuana is far less harmful than alcohol, the net effect of such a change for individuals and society would be positive. But actual evidence for this effect has been mixed, so far. In Colorado, for instance, alcohol sales have continued to rise in the first year of marijuana legalization. 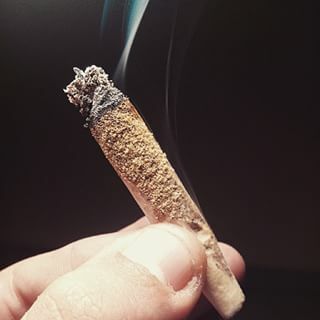 Some research has shown that marijuana availability decreases alcohol consumption, others that it increases it. Some researchers caution against reading too much into the results of this one study. Rosalie Pacula, director of the BING Center for Health Economics at the RAND Corp., says that the nationally representative BRFSS data is not necessarily the best for sussing out state-level effects. Beyond that, in a number of the states in this study, medical marijuana laws are still very new, so the data on the impact of those laws are relatively sparse. In the end, after all, we’re looking at just one study. As always with these things, it’s far from the last word on the matter. 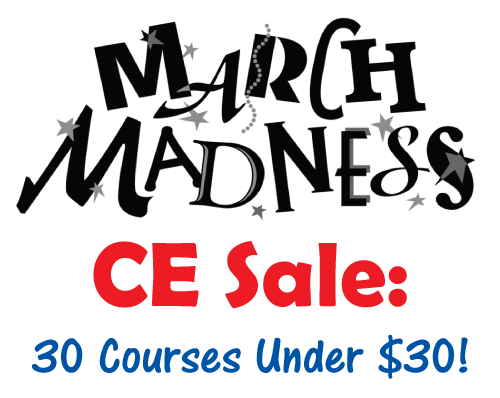 Medical Marijuana is a 3-hour online CEU course that presents a summary of the current literature on the various medical, legal, educational, occupational, and ethical aspects of marijuana. We know that too much sugar is bad for our waistlines and our heart health, but now there’s mounting evidence that high levels of sugar consumption can also have a negative effect on brain health — from cognitive function to psychological well-being. While sugar is nothing to be too concerned about in small quantities, most of us are simply eating too much of it. The sweet stuff — which also goes by names like glucose, fructose, honey and corn syrup — is found in 74 percent of packaged foods in our supermarkets. And while the Word Health Organization recommends that only 5 percent of daily caloric intake come from sugar, the typical American diet is comprised of 13 percent calories from sugar. “Many Americans eat about five times the amount of sugar they should consume,” Natasa Janicic-Kahric, an associate professor of medicine at Georgetown University Hospital, told The Washington Post. It’s easy to see how we can get hooked on sugar. However, we should be aware of the risks that a high-sugar diet poses for brain function and mental well-being. Here’s what you need to know about how over-consumption of sugar could wreak havoc on your brain. It creates a vicious cycle of intense cravings. When a person consumes sugar, just like any food, it activates the tongue’s taste receptors. Then, signals are sent to the brain, lighting up reward pathways and causing a surge of feel-good hormones, like dopamine, to be released. Sugar “hijacks the brain’s reward pathway,” neuroscientist Jordan Gaines Lewis explained. And while stimulating the brain’s reward system with a piece of chocolate now and then is pleasurable and probably harmless, when the reward system is activated too much and too frequently, we start to run into problems. “Over-activating this reward system kickstarts a series of unfortunate events — loss of control, craving, and increased tolerance to sugar,” neuroscientist Nicole Avena explained in a TED-Ed video. In fact, research has shown that the brains of obese children actually light up differently when they taste sugar, reflecting an elevated “food reward” response. This suggests that their brain circuitry may predispose these children to a lifetime of intense sugar cravings. It impairs memory and learning skills. A 2012 study on rats, conducted by researchers at UCLA, found that a diet high in fructose (that’s just another word for sugar) hinders learning and memory by literally slowing down the brain. The researchers found that rats who over-consumed fructose had damaged synaptic activity in the brain, meaning that communication among brain cells was impaired. Heavy sugar intake caused the rats to develop a resistance to insulin — a hormone that controls blood sugar levels and also regulates the function of brain cells. Insulin strengthens the synaptic connections between brain cells, helping them to communicate better and thereby form stronger memories. So when insulin levels in the brain are lowered as the result of excess sugar consumption, cognition can be impaired. It may cause or contribute to depression and anxiety. If you’ve ever experienced a sugar crash, then you know that sudden peaks and drops in blood sugar levels can cause you to experience symptoms like irritability, mood swings, brain fog and fatigue. That’s because eating a sugar-laden donut or drinking a soda causes blood sugar levels to spike upon consumption and then plummet. When your blood sugar inevitably dips back down (hence the “crash”), you may find yourself feeling anxious, moody or depressed. Sugar-rich and carb-laden foods can also mess with the neurotransmitters that help keep our moods stable. Consuming sugar stimulates the release of the mood-boosting neurotransmitter serotonin. Constantly over-activating these serotonin pathways can deplete our limited supplies of the neurotransmitter, which can contribute to symptoms of depression, according to Dr. Datis Kharrazian, functional medicine expert and author of Why Isn’t My Brain Working?. Chronically high blood sugar levels have also been linked to inflammation in the brain. And as some research has suggested, neuroinflammation may be one possible cause of depression. Teenagers may be particularly vulnerable to the effects of sugar on mood. A recent study on adolescent mice, conducted by researchers at Emory University School of Medicine, found a diet high in sugar to contribute to depression and anxiety-like behavior. Research has also found that people who eat a standard American diet that’s high in processed foods — which typically contain high amounts of saturated fat, sugar and salt — are at an increased risk for developing depression, compared to those who eat a whole foods diet that’s lower in sugar. It’s a risk factor for age-related cognitive decline and dementia. A growing body of research suggests that a sugar-heavy diet could increase risk for developing Alzheimer’s disease. A 2013 study found that insulin resistance and blood glucose levels — which are hallmarks of diabetes — are linked with a greater risk for developing neurodegenerative disorders like Alzheimer’s. The research “offers more evidence that the brain is a target organ for damage by high blood sugar,” endocrinologist Dr. Medha Munshi told the New York Times. Some researchers, in fact, have even referred to Alzheimer’s as “Type 3 Diabetes” — which suggests that diet may have some role in an individual’s risk for developing the disease. A few years ago, I worked in a 9-5 desk job in an office where the kitchen was an ever-present buffet of donuts, muffins, cookies and other larger-than-life pastries. I honestly can’t remember too many days when there wasn’t some sort of sweet treat tempting me to eat it. I often fell victim to those goodies when my stress levels rose, and instead of dealing with what was actually stressing me out, I temporarily masked my feelings with the treats. For a long time, I didn’t recognize this pattern was happening — until it led me to gain several pounds. Even now when I feel stressed, I still crave sugary carbs, which are loaded with calories and fat and not helpful when it comes to maintaining my Feel Great Weight. It’s not always easy to overcome those emotions, but these tricks have certainly helped me (and will help you!) get a handle on stress eating. When I felt overwhelmed by a monstrous to-do list or frustrated by a difficult project, I’d often find myself turning to sugary treats for comfort, but learning my motives was key for controlling those cravings. Once I was more conscious of these triggers, I started to change my eating patterns. When I feel the urge to stress-eat, I take a moment to assess my actual hunger. I’ll even ask myself: “Am I really hungry?” I know my physical and emotional hungers are different, so I try to wait out a craving to see if my hunger subsides. If I am really hungry, I will eat a healthy snack, like a peanut butter and banana sandwich or Greek yogurt with cereal and nuts mixed in. The combination of healthy carbs, fat and protein satisfies my hunger while helping me feel more relaxed at the same time. Similarly, snacking on crunchy raw veggies like carrot or celery sticks helps me deal with my frustration without consuming a lot of calories. When my urge to reach for a sugary treat is really strong, I distract myself from the idea. I’ll either take a brisk 10-minute walk, listen to music on my iPod, read one of my favorite blogs or chat with a friend for a little while. Most of the time, doing one of these things calms me and helps me get a handle on my stress eating. Think: out of sight, out of mind. For example, if I know there are cookies in my kitchen, I’ll inevitably want to eat them as soon as I start to feel stressed. If I forget that they exist, the chances that I will turn to them for comfort drops considerably. This one might seem kind of obvious, but simply trying to be healthy in my everyday life helps me manage my stress levels and cravings. I try to exercise regularly and get adequate sleep each night, because I know if I’m tired or cranky, I’ll reach for food as soon as I start to feel stressed. Professional Development Resources is proud to join the Academy of Nutrition and Dietetics during March in celebrating National Nutrition Month®. This year’s National Nutrition Month theme is “Get Your Plate in Shape” and encourages consumers to remember to include a variety of fruits, vegetables, whole grains, lean proteins and dairy on their plates every day. 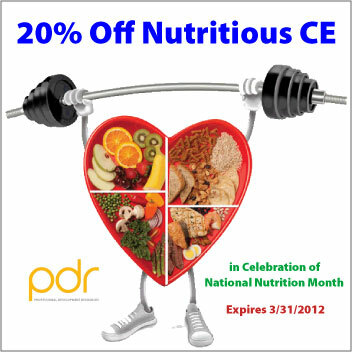 Professional Development Resources is offering 20% off all nutrition-related continuing education courses in celebration of National Nutrition Month. To apply the discount, enter coupon code NNM2012 during checkout at www.pdresources.org. Coupon expires 3/31/2012. Florida: Boards of SW, MFT & MHC (#BAP346); Psychology & School Psychology (#50-1635); Dietetics & Nutrition (#50-1635); Occupational Therapy Practice (#34). PDResources is CE Broker compliant. 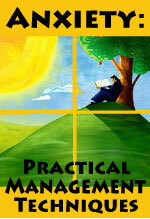 * Check specific course accreditation statement for approval. Nearly every client who walks through a health professional’s door is experiencing some form of anxiety. Even if they are not seeking treatment for a specific anxiety disorder, they are likely experiencing anxiety as a side effect of other clinical issues. For this reason, a solid knowledge of anxiety management skills should be a basic component of every therapist’s repertoire. Clinicians who can teach practical anxiety management techniques have tools that can be used in nearly all clinical settings and client diagnoses. Anxiety management benefits the clinician as well, helping to maintain energy, focus, and inner peace both during and between sessions.